Neo Soul | DIOLA SAYS: BOOM! BAP! CLAP! 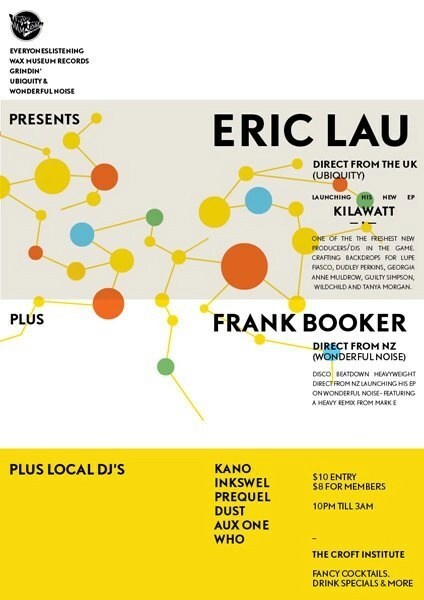 RETURN:OF:THE:REAL featuring ERIC LAU (UK/Ubiquity Records) hits Sydney! Signed to the Californian soul and rare groove label Ubiquity Records, Eric Lau is finally hitting Australia thanks to Grindin’ Music, a tour hitting Melbourne and Sydney only. It has been a while since I’ve heard from one of London’s groundbreaking producer of soul, hip hop and rare groove music. 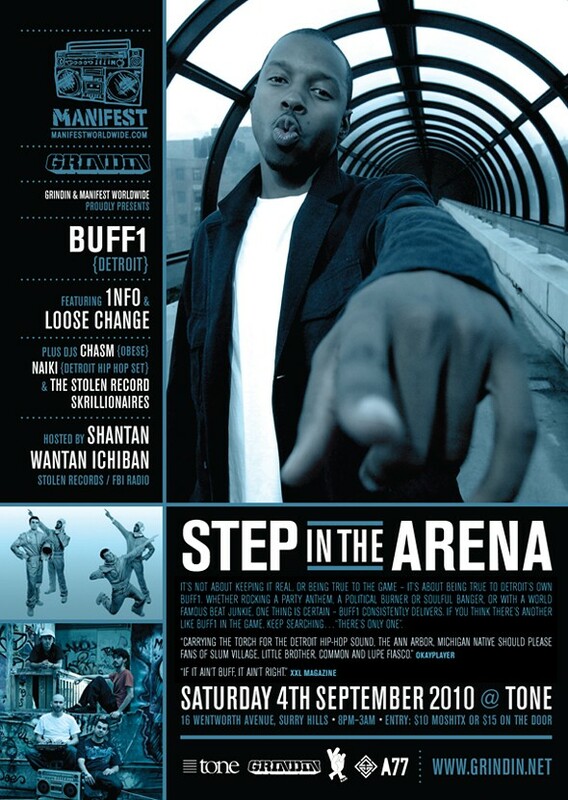 His debut album ‘New Territories’ was given by a DJ friend of mine, whose musical knowledge far surpassed anyone I had ever met or have yet to meet. I can’t recall in detail how this exchange was made, but once I had bumped that CD in my car, I began to obsess over his production without knowing a thing about him. Soon this obsession seeped into my social realm, playing his album at various social gatherings, at home, in the car – as long as there was a CD player, it was HIGH on rotation. If you close your eyes and listen, his music production is reminiscent of smooth soulful hip hop grooves heard from producers like J Dilla, SaRa or Pete Rock. It comes as no surprise when his influences stem from musical greats such as James Poyser, Shuggie Otis, Jay Dee, D’angelo and Roy Ayers. His blend of Soul samples fused with off beat drum production has him being admired from all corners of the globe from DJ’s to producers to musicians, to music lovers of all kind. Stonesthrow artist Dam Funk describes Eric Lau as being “In his top 5 artists”, Jay Electronica is quoted saying “when I talk with people about London, we talk Eric Lau”, Foreign Exchanges’ frontman Phonte labels him as “one of the illest beatmakers”. There’s no denying this man’s potential of becoming one of music’s finest producer’s already having worked with artists from Dudley Perkins aka Declaime, Georgia Anne Muldrow, Lupe Fiasco, Guilty Simpson, and Tanya Morgan whilst producing quality soul hip hop within his more intimate family of musicians heard on his debut album. His family of talented musicians comprise of vocalists Rahel, Tawiah, Sarina Leah, Meshach Brown, and Tosin. Each vocalist is worth listening to on their own merits, so when you have the time, I IMPLORE you to check them out individually. With the release of Kilawatt Volume 2 earlier in March of this year, you can be sure to know that this feel good EP is as he mentions in a recent interview on Soul Glow 2SER with Huwston,”an extension of his LP” . This 6 track EP is just a little taste on what is yet to come from Eric Lau. This EP features soul singer Muhsinah most notably known for her vocal work with Foreign Exchange, Kaidi Tatham from Bugs in the Attic and Oddissee. During his formative years, Eric Lau had no intentions of pursuing music as a career, nor was he an avid listener as one would assume a producer to be, until the suicide of a close friend at university deeply affected him. From there, his outlook and expectations shifted dramatically. There are a handful of artists that make you feel good. There are those that know a whisper is as good if not better than a grandiose note sung in one breath. At any given moment, whether it’s a stroke of a brush or a melody line, you can always refer back to those artists to make you feel good. That is all. 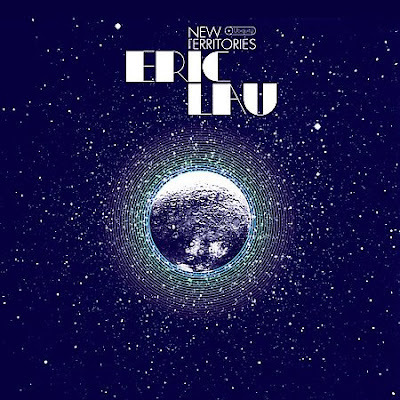 Eric Lau’s music makes you feel good, it is light and airy enough for sounds to dance in and around each other, and heavy enough for basslines to take you for a walk. He knows that less is more. If you’re in Sydney, “RETURN OF THE REAL” Eric Lau will be at Melt Bar 12 Kellet St. Kings Cross featuring live performances by 13th Son with DJ Sandro, hot new Soul/Hip Hop/Reggae outfit 5 Coffees, and DJ’s Trey, JC Fundafied, Huwston and ERIC LAU. Don’t miss out! Grindin’ Music has officially launched its highly anticipated new website which features up-to-date information on tours, music and events.